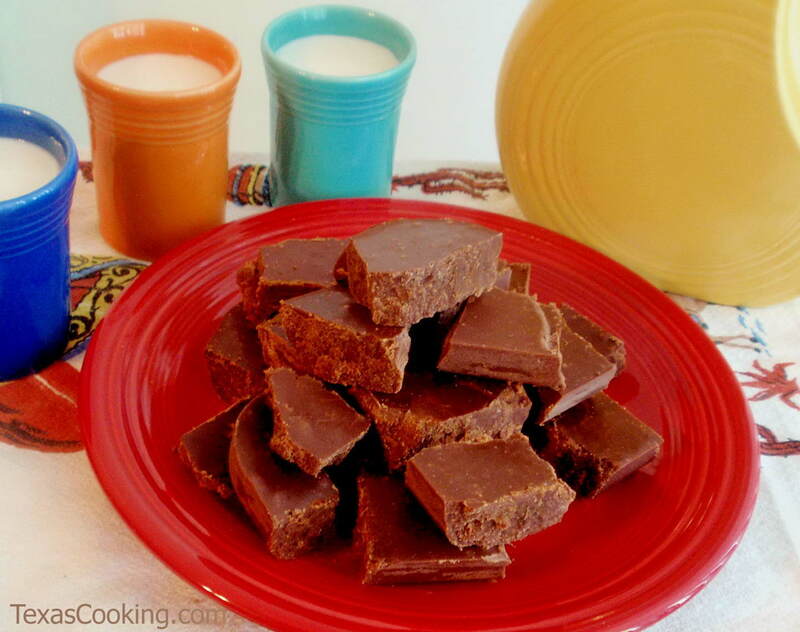 This fudge is heaven for the true chocolate lover. Butter an 8-inch square pan or dish. Thoroughly combine dry ingredients in a large, heavy saucepan. Stir in milk. Bring to a full rolling boil on medium heat, stirring constantly. Then boil, without stirring, until mixture reaches soft ball stage (234°F on a candy thermometer). Bulb of candy thermometer should not rest on bottom of pan. (See Note, below, for cold-water test instructions.) Do not stir. Remove from heat. Add butter and vanilla to mixture, but do not stir. Allow mixture to cool, at room temperature, to 110°F degrees (pan is barely warm to the touch). Beat until fudge thickens and begins losing its gloss. Quickly spread in pan. Let harden, and cut into squares. Note: The cold-water test for soft ball stage is this: Fill a cup with very cold water. Spoon a small amount of the boiling candy mixture into the cold water. If you can form the syrup into a ball with your fingertips while it's on the bottom of the cup and if the ball flattens when removed from the water, it is at soft-ball stage. Quickly remove your candy from the heat, or you will find yourself at hard-ball stage, and your fudge will be too hard.